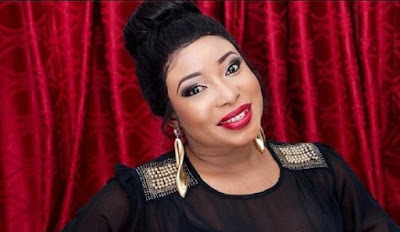 Liz Anjorin, Yoruba actress, and filmmaker wrote on her Instagram account to share how she was painfully dumped by a man who felt her family background wasn't well to do. Liz Anjorin has shared a story of how she was dumped by a man who went ahead to marry the daughter of a friend to a Commissioner. The light-skinned TV figure said that a lot of men do not know the difference between gold and diamond. They rather mash it for their ignorance. They will rather recycle and sell it. "A guy said, I left FATIMA DANGOTE AND RAN AFTER ONE RONKE because OF BIG BUMBUM. Honestly, I laughed and rolled on the floor that makes me remembered how a guy left me to marry a daughter of a friend to a commissioner. He said to my friend; who is Lizzy’s parent?? Lizzy is EBA and that girl is SALAD. So my friend told me that he asked her maybe she will choose salad over eba? Some men are like BOLAR (those guys that picks dirty and rotten irons): even when they see gold or diamond, even things that can help their life, they will rather mash it together and sell it to a recycling company. As a female child from a humble or hidden background, you will definitely face a lot of rejection and heartbreaking from men. Our parents should work more on a male child because the rate men are jumping from one girl to another is too alarming. Who realize that men are contributing to joblessness of ladies and they are proudly converting women both married and single to cheap prostitution because men invest unnecessarily on ladies with no work than the one that hustle. Some of them refuse to support their hustling bae. Some men tend to promote their side chick with no job than a woman with hustling spirit. The moment some men realize their wife or bae start work or business, they will become enemy of their women’s progress, Alaye will be telling you he is broke so you can spend your capital finish. If your man has multiple women and he is telling you he’s broke, My dear, run for your dear life because he’s using your money to satisfy another jobless chick.